My first novel, I Am a Muse, is out now published on my own imprint, Arcane Publishing. I Am a Muse is a novel about art, inspiration, ageing, choice, free will, loss, passion, insanity, the multiplicity of the self. Click HERE to go to the I Am a Muse page where you can read a free extract of the book! Click HERE to purchase a copy of I Am a Muse from the Arcane Publishing shop. 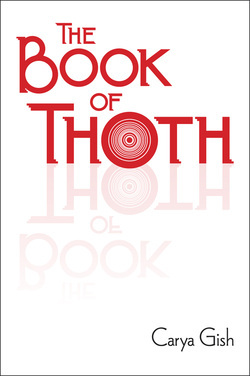 My second novel,The Book of Thoth, is inspired by the classic genre of the Gothic Novel, but with a contemporary twist (plus Egyptian curses, ancient cults, First World War ghosts, alchemy, flappers, Shakespearean actors, Sun and Moon dials, male anorexia and more...). Purchase copies at a special publisher price HERE. My third novel, The Right Place, will be set in the mythical landscape of Dorset, inspired by the book Secret Places of West Dorset by Louise Hodgson, my visits to the wonderful St Catherine's chapel in Abbotsbury and PJ Harvey's song The Wind about this very same chapel. Click HERE to read the opening page and for visuals, inspiration and also a playlist! Hell Lane: a Barton Stacey mystery! ​More soon, but you can have a look at the novel's page HERE. My fifth novel will be an urban tale and will be set in contemporary London. The book will have a Film Noir and surrealist feel. I will also be looking at Vorticism for inspiration. Click HERE to know more about the ideas behind the novel. On 27th February 2016 and February 2018, I co-organised and hosted evenings of poetry, literature and music in London. Find all the necessary details about these events on the Arcane Publishing events page HERE. ​We are planning more events! I am a writer who wishes to tell stories in which people will lose themselves. I do not write about social issues or the grim reality of our streets; I do not write fantasy books. I wish to create stories that somehow fit in between, with one foot firmly set in our contemporary world while the other explores a different reality, a different way of life or even a different time in history. My characters’ identities are fluid, much as human beings really are; often, their background is complex and international and they are not defined either by their gender, their nationality or their profession but by their actions, their words and the way they react to their environment. I do not write about heroes but about individuals living unusual lives in atypical environments. The contents of this website are all copyright © Carya Gish and cannot be reproduced without permission of the copyright holder.